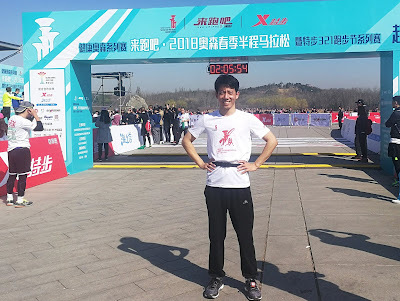 Alex Wang is 32 years old, and is currently Manager of the Mining Division of King's Ceramics, a leading Chinese manufacturer of ceramic beads for use in stirred mills. He has impressed us greatly at Comminution '14 and Comminution '16, and has even made an appearance at a Cornish Mining Sundowner. His enthusiasm for his work, and his ability to interact with people makes him someone who we feel will play a big part in the future of our industry. 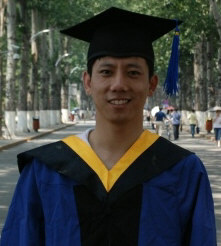 Alex graduated from the China University of Geosciences, Beijing, with a Masters Degree in materials science and technology, and a month later became manager of the R&D department at King's Ceramics, in 2015 becoming Sales Engineer of the Mining Division, and in 2017 Manager of the Division. I asked him what inspired him to take up a career in mineral processing? "My major is materials science and technology, focusing on industrial mineral processing technology and how mineral characteristics affect downstream product properties" he said. "Years of study and research makes me interested in mineral processing technology, and I find it is amazing dealing with micro-or-nano-level mineral particles, especially when they are exposed to modern techniques such as XRD, XRF and SEM, etc. By optimizing processing, such as ultrafine grinding, minerals show characteristics which sometimes are way different. I love deal with minerals, which are the basis of mother earth". "I find what I am involved with now is of great importance for mineral processing, as how well the mineral is superfinely ground will to a large extent decide the recovery rate of the valuables. The difference of several microns of product size may result in significant different results, while this may be caused only by the ceramic media size tolerance. Recently I am actively studying the relationship between comminution and flotation and leaching, and hope the knowledge with my understanding on ultrafine grinding can bring more to our customers and help them run the UFG mills economically and achieve higher recovery target". 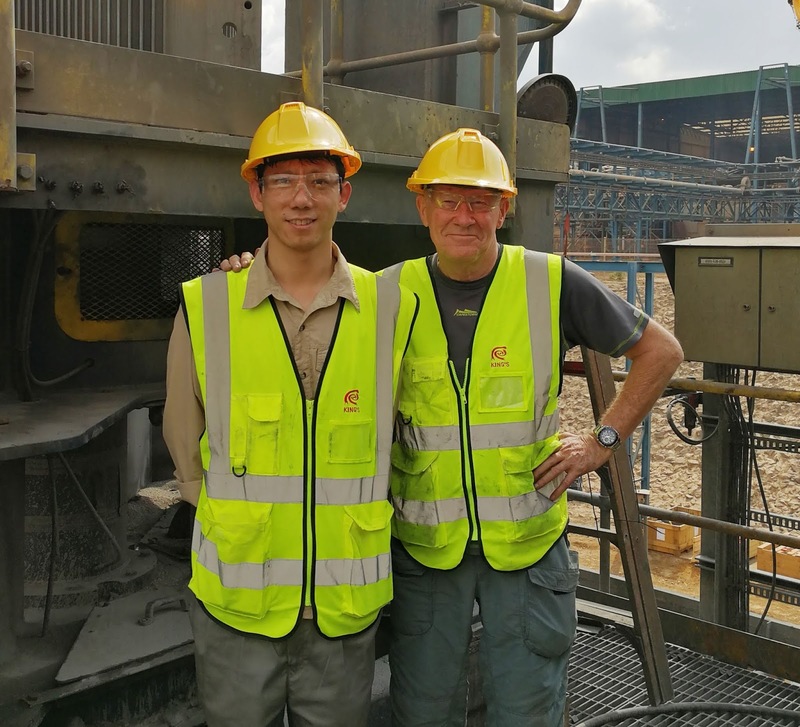 Alex hopes that in the future he can have more chances to be on mine sites to learn more from on-site metallurgists, which will give him a deeper understanding of how the mine is run and what kind of services can be offer to them from the ceramic media aspect. "Just like years ago I was working in our plant to learn how ceramic media is produced and what points are key to guarantee their mechanical properties, a better understanding of this makes me confident when marketing our products. Likewise, a comprehensive understanding on what the mine needs from UFG will push me further to be more practical and problem-shooting-oriented. We should not only offer high quality products but also value-added services". Alex is a well-rounded individual with many interests outside work. He enjoys running and since 2015 he has completed one half-marathon competition every year, this March recording his record time of 2 hours and 6 mins. "I enjoy the feeling of leaving the comfort-zone and experiencing the physical and psychological achievement I can’t always feel in daily life and work. Every Thursday night, I play badminton with my colleagues. And also in my spare time, I like reading and listening to music" he says. I greatly admire Alex's commitment to everything that he does, and I am sure that we will hear much more of him in the future. Absolutely elated to see new and bright faces coming into this field. Great to see that there are majors associated with mineral processing. Thank you for sharing! Let me compliment you,Alex; the relation between the characteristics(a term very difficult to define and correlate to a unit operation in an operating plant)of particles ground to fine and extremely fine sizes are the future to have breakthroughs in mineral and coal processing; I am very happy that young mineral engns are taking research on topics not thought , understood and studied. Comminution '20 is less than 2 years away!